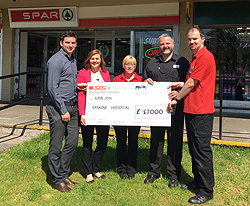 SPAR Erskine owned and operated by CJ Lang & Son and Limited has recently donated a generous £7,000 to their local charity – Erskine Veteran’s Hospice. SPAR Keith owned and operated by CJ Lang and Son Limited has recently donated a generous £500 to their local charity – Sunshine Developmental Playground. 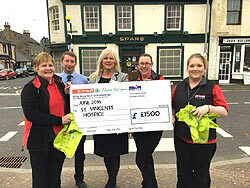 SPAR Lochwinnoch owned and operated by CJ Lang and Son Limited has recently donated a generous £1,500 to their local charity - St Vincent Hospice. 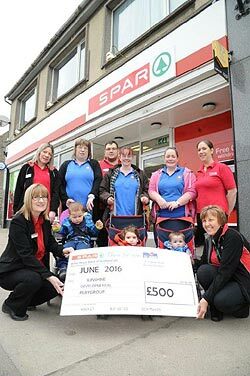 SPAR Clifton Road owned and operated by CJ Lang and Son has recently donated a generous £5,000 to their local charity – Maggie’s Aberdeen. 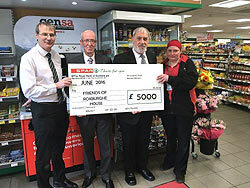 SPAR Ashgrove Road Aberdeen owned and operated by CJ Lang and Son Limited has recently donated a generous £5,000 to their local charity – Friends of Roxburghe House. 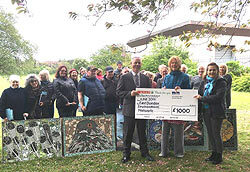 CJ Lang and Son Limited, owners and operators of SPAR Scotland donated a generous cheque for £1000 to EDEN East Dundee Environment Network-Dighty Connect Project based in Dundee. 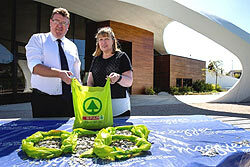 The money was raised through the sale of single use carrier bags, which since October 2014 cost customers 5p per bag. 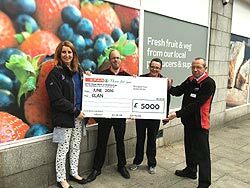 SPAR St Machar owned and operated by CJ Lang and Son Limited has recently donated a generous £5,000 to their local charity - CLAN. 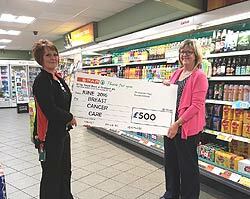 SPAR Ballindean Road Dundee, owned and operated by CJ Lang and Son Limited, has recently donated a generous £500 to Breast Cancer Care Charity.